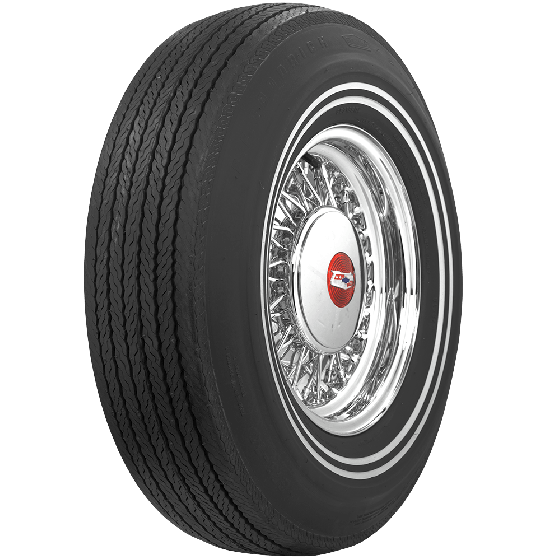 Enthusiasts and owners of the big full-size American cars of the sixties and seventies are always on the lookout for authentic G78, J78 and L78-15 tires. 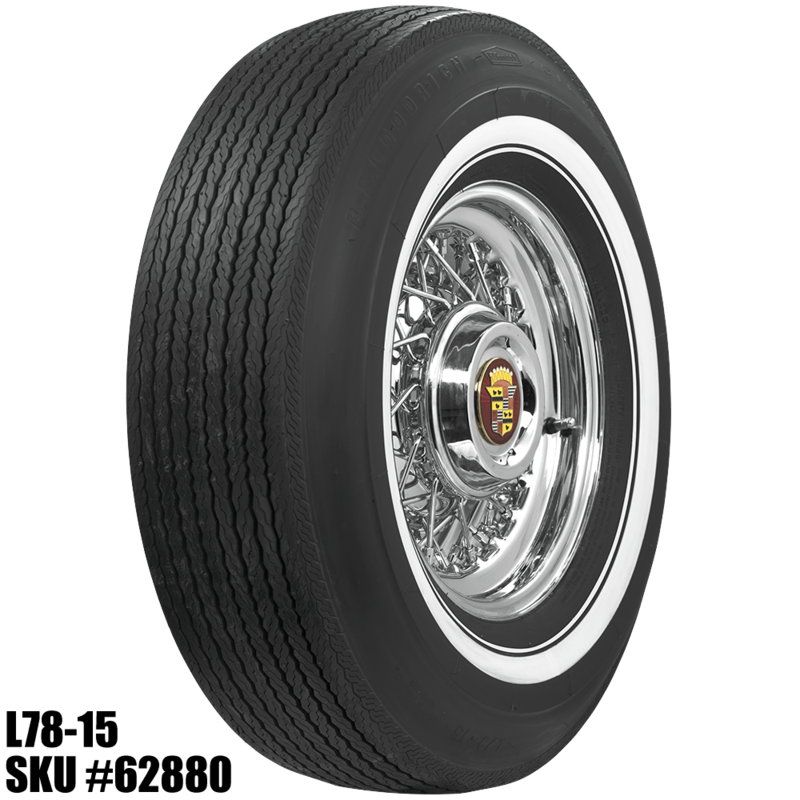 These BF Goodrich bias ply vintage whitewall tires feature very unique dual narrow whitewall sidewalls and look fantastic on the big cars from that era. 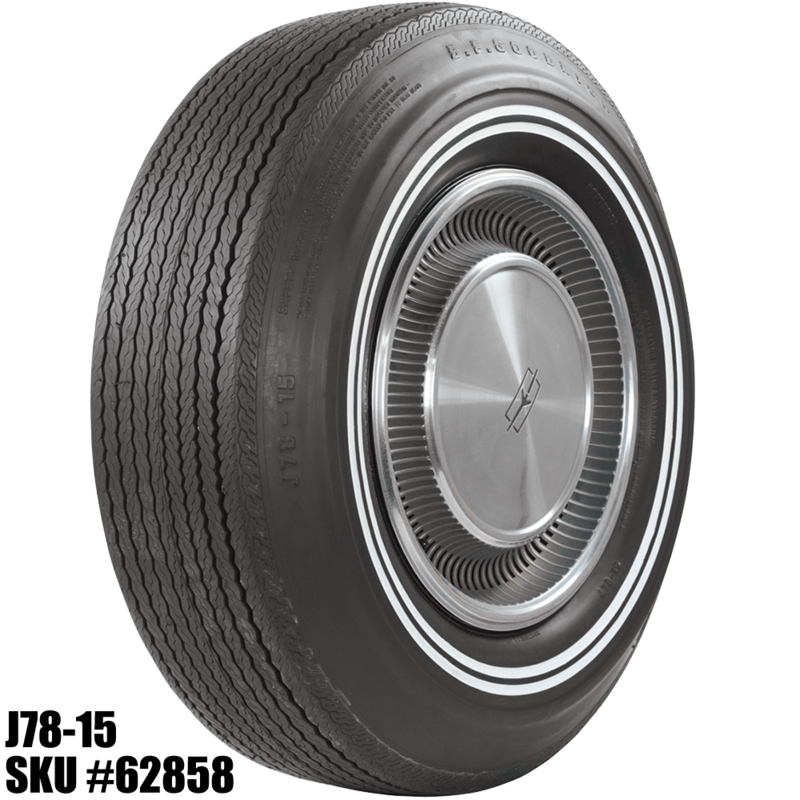 These tires are incredibly authentic and feature original sidewall markings tread designs of the sixties. Specific tread and sidewall designs may vary slightly by size. Please cross reference the part number in the product images with the part number in the product specifications after selecting a size from the drop down menu. Contact a Tire Expert for assistance in selection the correct tire for your fitment. Hi. 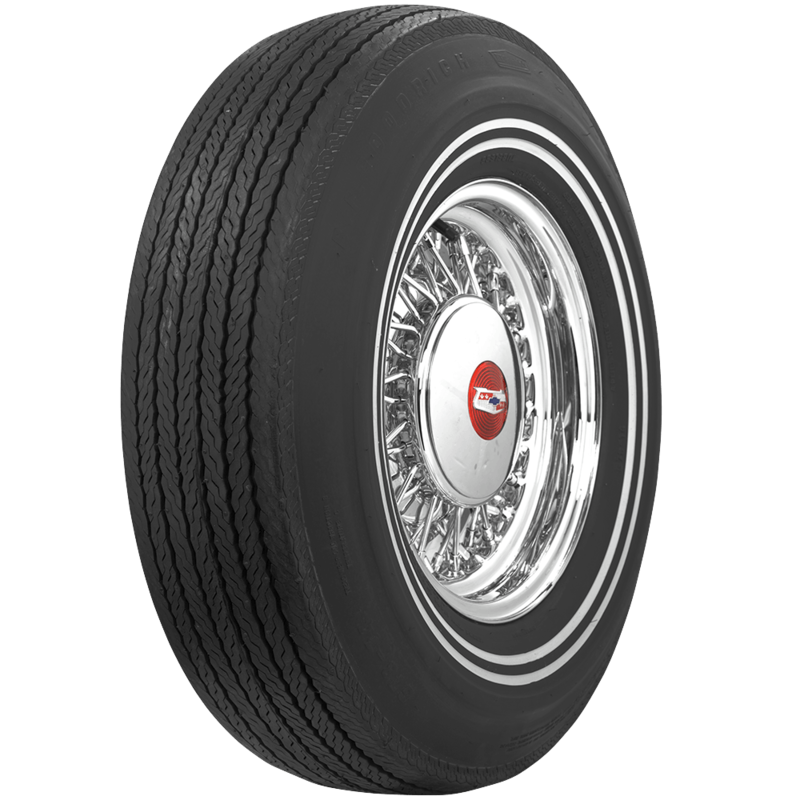 Do you make this tire in E78 or F78-15? If so, how much to make them? The E78-15 and F78-15 sizes are not available. Do you make a WhiteWall with both White Stripe and Blue Stripe? 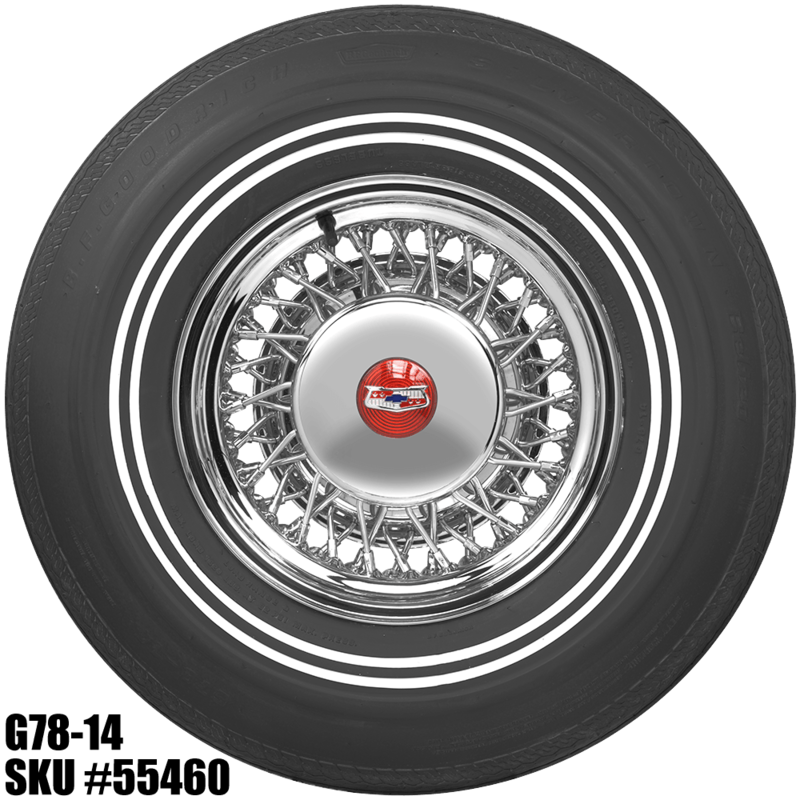 There is no such tire with both white and blue stripe sidewall. 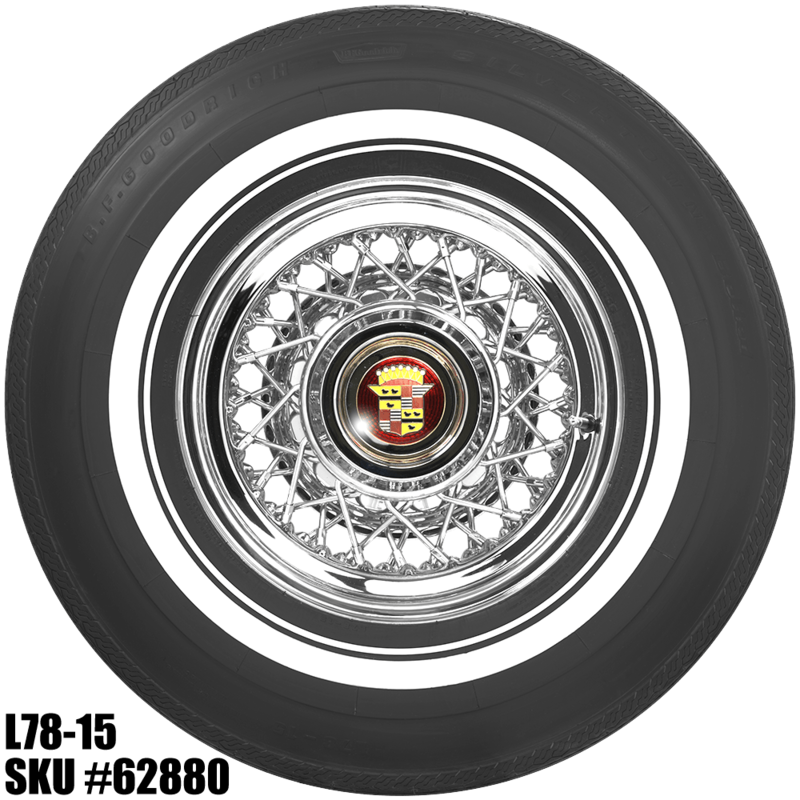 815-15 is the proper bias ply size, and 215/75R15 is the correct radial size for a '65 model T-Bird. The only additional expenses are shipping charges and any accessories you need, such as tire cleaner or our tire protection plan. Click Here and Click Here for those!